Memory skill games are fantastic for preschoolers, especially when they star characters from their favourite story books! Characters from Judith Kerr’s classic tale The Tiger Who Came to Tea are brought to life in this fun, easy to play game. 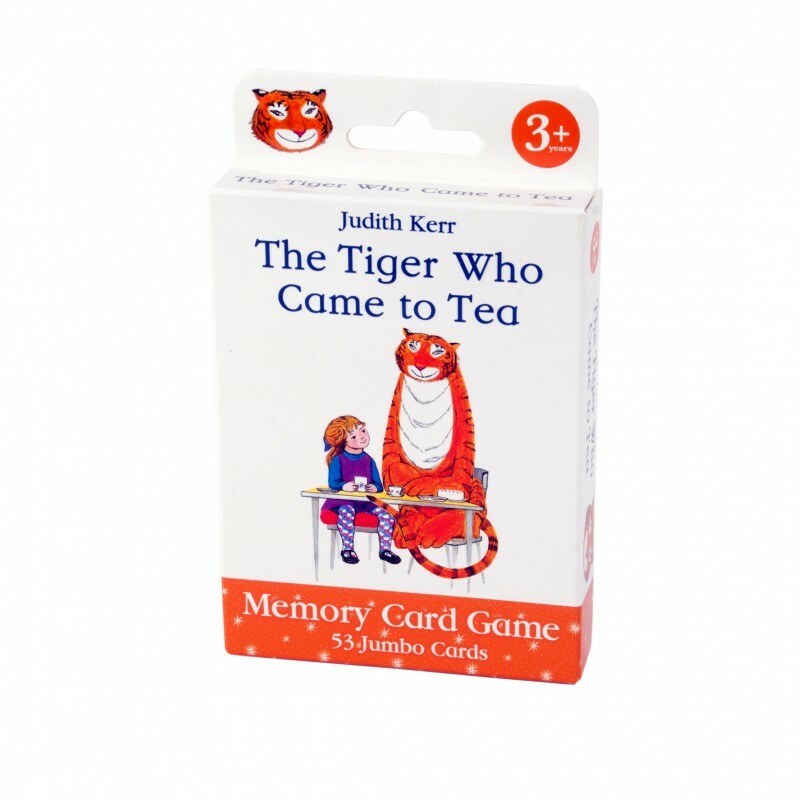 Created especially for children aged three years upwards, The Tiger Who Came to Tea Memory Card Game features 54 jumbo cards beautifully illustrated with scenes from the children’s storybook. The key to success is remembering which cards have been placed where so you can select a matching pair when it’s your turn. This game is a great gift for any occasion and is ideal for honing concentration, turn-taking and memory skills. It can be played with two or more players and is suitable for children aged 3 – 5 years.